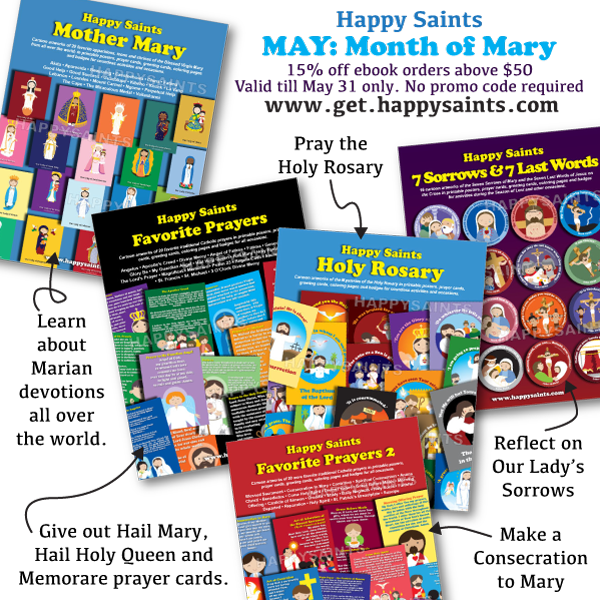 Gear up for Mary’s month with these DOWNLOADABLE, PRINTABLE & RE-USABLE resources from Happy Saints! 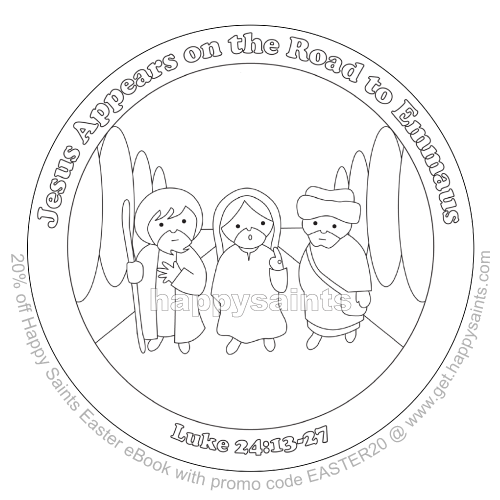 They are great for Catholic parishes, schools and families! Get them all and receive a 15% discount! This discount is applicable to ebook orders above $50 till the end of May 2018 (automatically applied to cart, no promo code required). 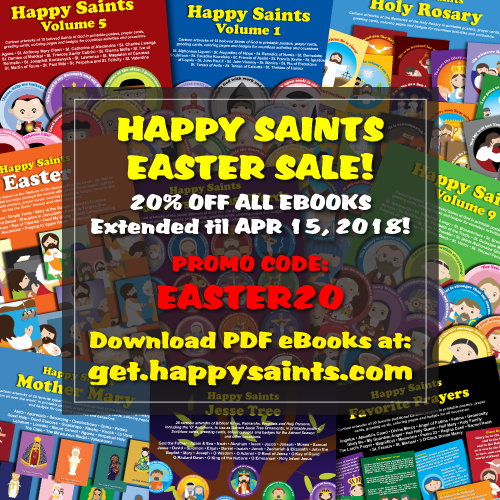 20% Happy Saints Easter eBook Sale! 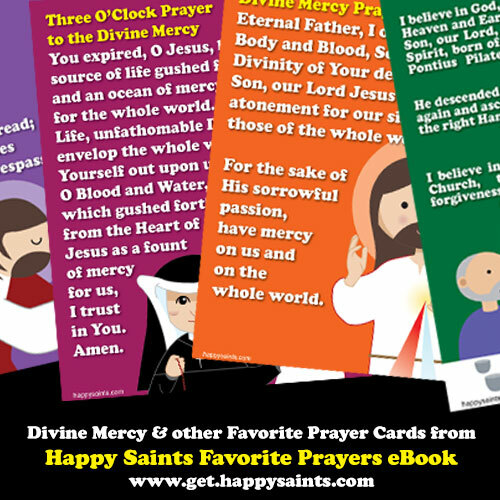 Happy Saints eBooks feature cute, colorful and child-friendly cartoon artworks of beloved Saints of God, Bible Scenes and Popular Devotions in printable posters, prayer cards, greeting cards, coloring pages and badges for countless activities and occasions. 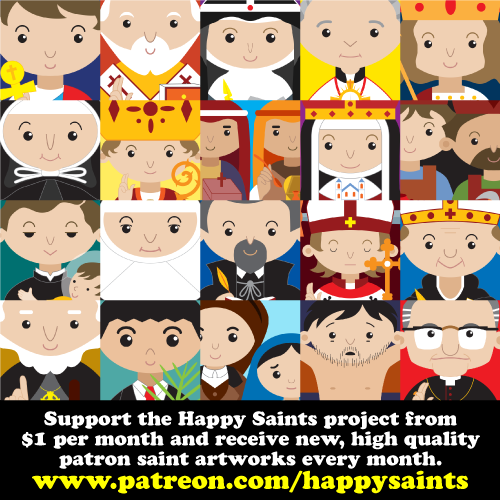 Patron Saints, Holy Rosary, Jesse Tree, Liturgical Calendars etc. etc. 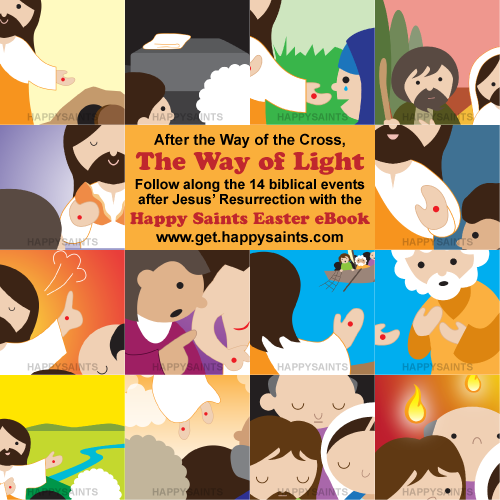 They provide great resources for Catholic parents, teachers, catechists, children, families and parishes! Missed the Easter Sale last week? Here’s another week of 20% off all Happy Saints eBooks! 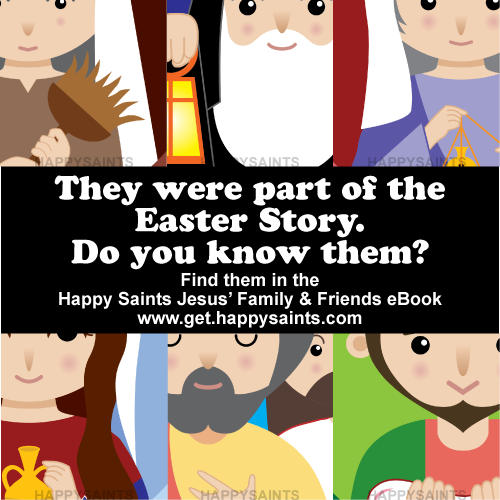 They were part of the Easter Story. Do you know them? 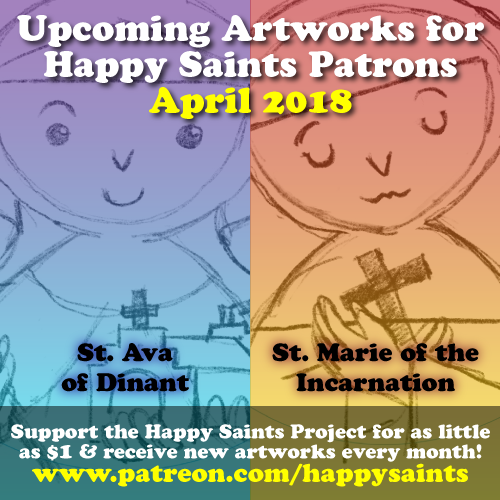 It’s time for the HAPPY SAINTS EASTER SALE! 20% OFF ALL EBOOKS until APRIL 8, 2018!